You’re asking yourself, “Why is my house not selling in Toronto ON? And yet – the news says the real estate market is hot. The media is practically shouting about multiple offers, high demand, and record-setting prices. These tips could be just what you need to help you sell your Toronto home. Why is my house not selling in Toronto? 5 Tips to Cure it. you want great results, partner with the pros. 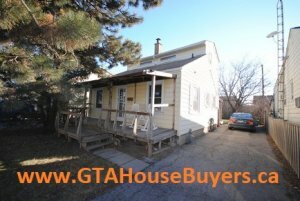 Experienced pros should be able to answer your question “Why is my house not selling in Toronto?”. Too often we see over-improved properties – those where the owners have gone too far. Even with the best of intentions, exceptional craftsmanship and true artistic talent, it’s incredibly challenging to exceed what the market is paying. Putting too much money into upgrades can easily translate into lost money so keep your money for your next house. Plus, most buyers want to add their own custom touches. Get rid of all the clutter and think “neutral”. Some people who are asking the question “Why is my house not selling in Toronto” have been putting all their efforts into the inside of their homes and have forgotten about the outside. Curb appeal is as important as the inside – so don’t neglect one part of the property to improve the other. Give buyers a cohesive impression of great style. Paint the walls, update the landscaping, and most of all – keep it immaculately clean. Consider hiring a professional designer to help tastefully stage the property. If you’re getting a lot of showings but not a lot of offers, you might not be too far off in price. If your best efforts to advertise your property aren’t making the phone ring, you’re probably overpriced. Ask a professional, “Why is my house not selling in Toronto?”. It may come down to price of your home. If you need to sell a house near Toronto, we can help you. We buy Toronto ON houses. Give us a call anytime (647) 848-7790 or fill out the form here today!